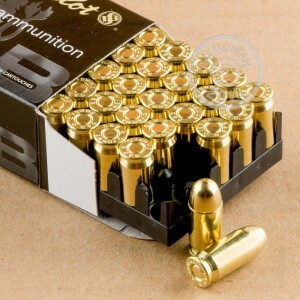 380 ACP ammunition often seems more expensive than it should. If you want to beat that trend, get your hands on this economical target ammo from Sellier & Bellot. Each cartridge in this box of 50 fires a 92 grain full metal jacket bullet at a muzzle velocity of 955 feet per second. This load produces average recoil for the .380 Auto, along with good accuracy. 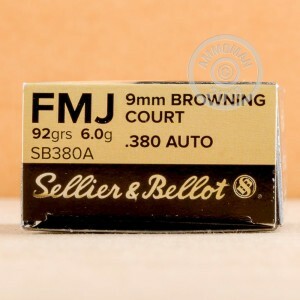 Sellier & Bellot is a long-established Czech manufacturer that produces high quality brass-cased ammunition with non-corrosive Boxer primers. Check out more S&B loads, as well as ammo from other top brands at AmmoMan.com, where all orders over $99 qualify for free shipping! Nice rounds! Decent shipping speed. I would recommend and re-order these rounds.